Point of view: one of the most useful tools at the writer’s disposal, but also one of the most challenging. Point of view—or POV—refers to the device of telling a story through a particular character’s eyes: getting inside his head and relating everything he sees, hears, feels, and experiences. Conversely, anything the character does not experience first hand should not be in the story, unless he hears or reads about it from another source. POV can be challenging to master because our stories often contain information or events no single character experiences or is privy to. That’s why it’s alluring for writers to use multiple POVs, shifting the narration back and forth between different characters. However, multiple POVs contain special challenges. They can jar readers and make your story difficult to manage. So before you shift your narration from Molly to Jim to Don to Molly’s dog Pepper, take some tips from Kathryn Stockett’s excellent novel The Help to determine, first, if POV shifts are really necessary, and, second, how to go about managing them. Whose Head are We In—and Why? The Help is narrated by three women living in Mississippi in 1962—two black maids, Aibileen and Minny, and a white woman, Skeeter, who aspires to be a journalist. Their very different lives intertwine and come face-to-face with the injustice of segregation. But why was it necessary to tell the story from three different characters’ POVs? Early in the novel, Aibileen’s employer, Elizabeth, builds her a toilet—an expensive and demeaning reminder that Aibileen is not considered worthy of using a white person’s toilet. Aibileen risks losing her job if she expresses how she feels, so she can only relate her feelings to her friend, Minny, a brash, outspoken woman who has her own employment issues. Meanwhile, Skeeter has just returned from college to find the black maid who raised her has mysteriously been fired by Skeeter’s clueless mother. Stockett’s evident purpose is to shed light on the unfairness of segregation and how it demeans both blacks and whites. She could probably have accomplished this by using a single character’s POV, but the shifting viewpoints add richness to the story. They enable us to experience segregation first hand through both black and white perspectives. Likewise, Minny’s experiences are similar to Aibileen’s, but her personality and ways of coping with matters are entirely different. Thus, we get a fuller sense of the world in which these women live. Minny's working relationship with Celia, for example, adds a lot of humor that is missing from Aibileen's bitter and distant relationship with her boss. To determine if your story warrants multiple POVs, ask yourself what they would contribute to the story. If you can't think of a single, specific advantage to using multiple POVs, don't. 1. Limit your number of POV characters. The Help introduces us to several other vivid characters—Skeeter’s friends, social climber Elizabeth and overt racist Hilly; Skeeter’s nagging mother; Minny’s bizarrely unhappy boss, Celia—but the narration is confined to Aibileen, Minny, and Skeeter. Limiting the number of POV characters keeps the story manageable, and also gives the reader a somewhat predictable structure. We know we’re going to get to each of the three characters eventually, and we’re not thrown for a loop, as we would be if another character’s POV were inserted. Rather, we get used to these characters as if they were old friends, taking turns chatting with us over lunch. 2. Introduce all of your POV characters early on. Although the first two chapters of The Help are told from Aibileen’s POV, Skeeter and Minny are both present. Skeeter attends lunch at Elizabeth’s house and is served by Aibileen, who then rides the bus home with Minny. We get to know the other two characters through Aibileen’s eyes before we jump into their heads. When a POV shift occurs, it’s like being dropped off at a friend’s house for awhile. 3. Shift POVs at chapter breaks. Writers sometimes make the mistake of shifting POVs in the middle of chapters or, worse, in the middle of scenes. But that’s like riding on a toy train that suddenly turns into a roller coaster: it can throw the reader right out of the story. Chapter breaks, on the other hand, are ideal spots for POV shifts. The reader is aware that this part of the journey is over and a new part of the journey is about to begin. 4. Avoid predictable POV shifts. Another mistake writers make is thinking they have to always follow the same pattern in POV shifts. Thus, Character A narrates Chapter 1, Character B narrates Chapter 2, Character C narrates Chapter 3, and we’re back to Character A for Chapter 4. Booooring! Stockett does something more organic. She tells the first two chapters through Aibileen’s eyes, Chapters 3 and 4 through Minny’s, and Chapters 5 and 6 through Skeeter’s. 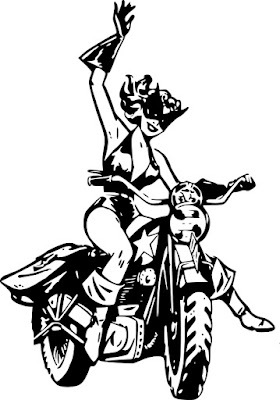 Then she shifts back to Aibileen for Chapter 7, then to Skeeter for Chapter’s 8 and 9. Minny does not return as a POV character until Chapter 10. Nor are the chapters of the same length. Stockett often spends more time with one character than another, keeping the story fresh and unpredictable. 5. Use cliffhangers. Another advantage to using multiple POVs is that you can leave a character hanging for awhile. 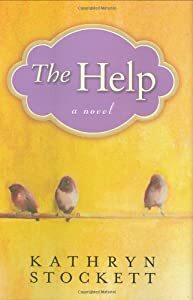 One chapter of The Help ends with Minny hiding on the toilet of a white woman—a definite no-no in the segregated South. Will she get caught? What then? Stockett keeps us in suspense for a long time as she shifts back to the other two characters, and when she finally reveals Minny’s fate, we feel both relief and a sense of injustice that she had to hide at all. 6. Show the same events through different characters’ eyes. Probably the most important advantage of POV shifts is what’s known as the Rashomon effect—showing the same event through the subjective perceptions of different characters. When Aibileen arrives home in the poor, "colored" section of town to find a Cadillac parked in front of her house and a white woman (Skeeter) sitting on her stoop out in the open, wanting to talk to her, her reaction is very different than the naïve Skeeter expects. Getting to see this encounter through both of their eyes provides us with a revealing glimpse into the cultural expectations imposed by segregation without portraying either character in a bad light. Instead, we sympathize with them and understand that both are victims of a racist system. POV shifts can be fun and add depth to your story. But the key to using them is 1) make sure your story warrants being told from multiple viewpoints, and 2) manage POV shifts in such a way that they move the story forward and keep readers enthralled.